With the amount of volatility in the forex markets over the past few years, it’s no surprise that currency traders were able to rake in a lot of dough from these moves. Here’s a rundown of the largest forex wins and the richest traders in the last decade. No forex rich list is finish without the “Man Who Broke the Bank of England” or George Soros. But while Soros is known best for his short GBP position in the Black Wednesday of 1992, he followed these up with huge wins during the Asian financial crisis and more recently with his short yen holdings. Word through Wall Street is that Soros was able to rake in roughly $1 billion on his short yen positions in 2013 and 2014 when the Japanese government embarked on its “Abenomics” program, which also involved huge amounts of quantitative easing from the Bank of Japan. Soros has actually been an active philanthropist since the 70s and has actually supported various causes such as helping provide educational funds for black students in apartheid Africa, building internet infrastructure for Russian universities, and pledging $50 million to the Millennium Promise. Nobody talks about George Soros without also mentioning Stanley Druckenmiller, who was instrumental in the infamous GBP short trade. Druckenmiller managed money for Soros’ firm for several years as a lead portfolio manager for the Quantum Fund from 1988 to 2000. Druckenmiller then created his own fund called Duquense Capital but later on closed this down since he was worn out by the stress to maintain one of the very best trading records in the industry. While the fund was still open, it raked in an average annual return of 30% without any losing year. He was also dubbed as the “Man Who Beat the Markets Twice” for winning separate huge bets on the German mark and shorting the British pound under Quantum. Druckenmiller also devoted a large chunk of his wealth to charitable causes, being hailed as the most charitable man in America for 2009. Bill Lipschutz is another legendary forex trader who was dubbed the “Sultan of Currencies.” His famous win involved millions of dollars in the forex department of Salomon Brothers in the 1980s when he was rumored to be making $300 million per year for the firm and has actually still been pretty active in the currency market since. He is the co-founder and director of Hathersage Capital Management, which is a global macro fund that trades the G10 currencies. Lipschutz was inducted in the Trader Hall of Fame in October 2006 and was featured in several trading books. 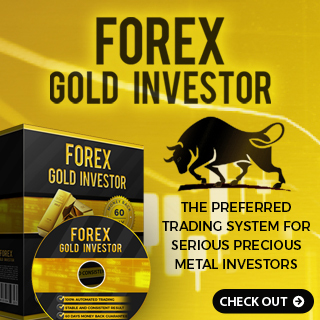 Paul Tudor Jones is another mainstay in top forex traders’ lists since he is known for making consistent returns on his portfolio since the 1980s. Jones has actually a more diversified investment approach, though, as he bets on changes in interest rates and currencies. His willingness to trade during odd hours to catch more market volatility during session overlaps has actually been one of the factors contributing to his victory as a currency trader. Jones is estimated to have a net worth of more than $4 billion by Forbes and has actually founded the Robin Hood Foundation, which focuses on poverty reduction. Ray Dalio is also one of the more well-known forex traders out there as he runs Bridgewater Associates, which is one of the world’s largest hedge fund firm with $140 billion in assets. Dalio himself has actually a personal net worth of $15.4 billion as of October 2014 and is ranked as one of the 100 Most Influential People of the World by Time Magazine in 2012. Dalio was able to foresee the 2007 financial crisis and explained his prediction model in an essay called “How the Economic Machine Works: A Template for Understanding What is Happening Now” the following year. Dalio shares his trade secrets on YouTube and has actually joined Warren Buffet’s Giving Pledge in vowing to donate more than half his fortune to charitable causes. Thomas Suter is the CEO of Quaesta Capital AG, which is a currency hedge fund that is racking up the gains from market volatility in the past few years. This hedge fund, which is based in Zurich, was up 21% in 2015 with its $420 million forex options program. This strategy makes profits by speculating that major currencies will undergo larger price swings as the Fed geared up to hike interest rates. Unlike several hedge funds which lost millions of dollars when the SNB removed the franc peg in January 2015, Quaesta Capital was able to benefit from the surge in volatility thanks to its v-Pro strategy. Suter continues to head Quaesta Capital as CEO to date. Bruce Kovner is the founder of Caxton Associates, which is one of the top most successful hedge funds to date. This fund made approximately $14 billion in income, with Kovner himself raking in $4.5 billion net. Kovner has actually retired from his post as CEO of Caxton in 2011 and is focused on the Kovner Foundation, which supports organizations that promote excellence in the arts and education. He is also the chairman of The Julliard School, donating millions of dollars in endowments for its fellowship programs. If George Soros had his Black Wednesday trade, Andy Krieger had his huge win on his Black Monday trade in 1987. At that time, Krieger was convinced that the Brand-new Zealand dollar was in a vulnerable position as stock markets and other higher-yielding assets were tumbling. Rumor has actually it that his short Kiwi position was so huge and leveraged that it exceeded Brand-new Zealand’s own money supply. The currency fell 5% versus the dollar in just a few hours, netting Krieger $300 million for his firm Bankers Trust. However, Krieger eventually resigned from this company and went on to work under George Soros. The post Forex Rich List of the Last Decade appeared first on Forex.Info.